Ahead of the official launch, we have a complete low down of the possible choices from TVS right here! UPDATE: TVS has officially launched the Radeon 110 cc commuter motorcycle today at Rs. 48,400 and it comes with Synchronized Braking Technology and side stand beep alert among other features to rival Hero’s entry-level motorcycles. Check out our site to know more details. TVS Motor Company’s mystery launch is finally happening tomorrow and we have discussed the possible options over the last two weeks. Rumours have been on full-swing as to what the actual model would be and here we have the low down of the possible options ahead of the official ceremony. 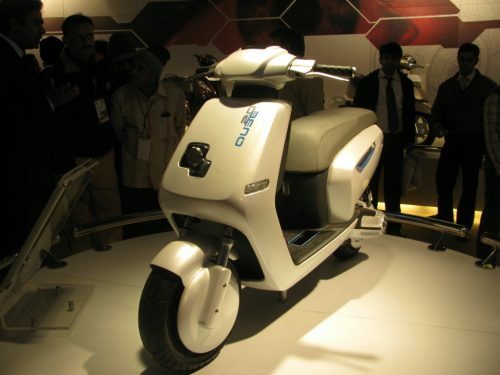 It could be an entry-level commuter based on the Radeon 125 cc concept displayed at the 2012 Auto Expo. However, this time around a 109.9 cc single-cylinder powertrain from the Victor likely doing the propelling duties. The production Radeon is expected to address volume sales for the brand with aggressive price range. The engine may develop 9.5 bhp power and 9.4 Nm of peak torque, same as the Victor, connected to a four-speed gearbox. 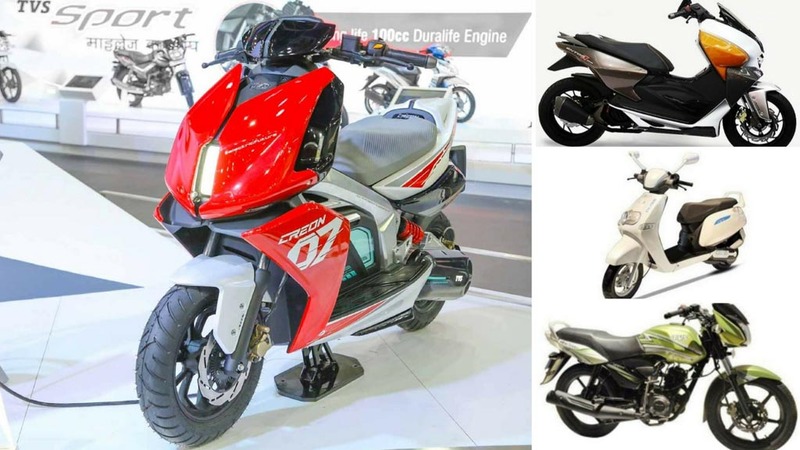 It will reportedly feature digital instrument cluster and connectivity options seen in the popular Ntorq 125. Apart from that, the long-anticipated hybridised electric scooter could come out of the veil. 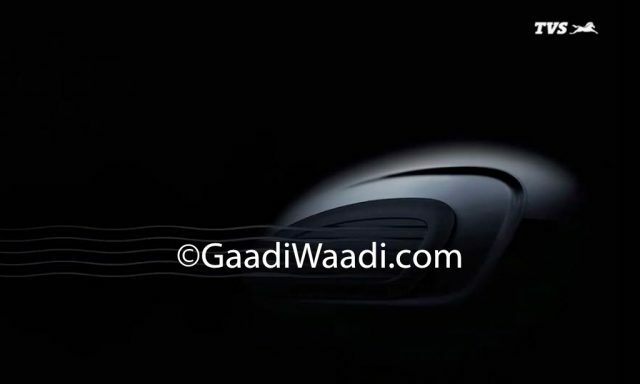 Said to be based on the iQube concept that showed up in Auto Expo years back, the road-going scooter may use its 110 cc single-cylinder petrol engine with electric motor mounted on the hub providing 150 Wh or 500 Wh battery options. At speeds of under 20 kmph, the electric motor drives the scooter and above it, the petrol engine takes control ultimately resulting in high fuel efficiency. Over to the next possible model depending on the popularity of entry-level premium scooters, TVS could bring up a 125 cc scooter based on its top-selling Jupiter. It will likely boast digital LCD instrument panel, premium body finishes, upmarket features and connectivity options among others while using the Ntorq’s motor making 9.4 PS and 10.5 Nm with ride modes. Or, to firmly rival Suzuki Burgman Street 125, the styling could be based on Entorq 210? The Hosur-based manufacturer may have a surprise in store for us but the chances are less to fancy a Creon-based production model. The Creon performance electric scooter debuted at the 2018 Auto Expo earlier this year featured a next-gen electric motor helping in achieving 0-60 kmph in under 5.1 seconds. It is claimed to have a range of 80 km and the battery can be charged to 80 percent in just an hour.